Summer may be winding down but our feet are always in need of some restoration and hydration. Whether you’ve had a long day at the office, you’re suffering from dry flip-flop feet, or you’re trying to break in a new pair of heels, there is nothing a DIY at-home foot scrub can’t fix. Try the below recipe for a luxurious, at-home foot treatment from celebrity manicurist and owner of As “U” Wish Nail Spa, Skyy Hadley and your feet will feel good as new in no time! · Begin by muddling a few fresh mint leaves in an empty jar to release their natural essential oils. This will help you relax while providing hydration. · Warm up some coconut oil and pour into the jar until it is halfway full. · Add 2 tablespoons of honey and mix in 1 tablespoon of sugar until the sugar is completely immersed in the oil mixture. · Take a couple spoonfuls of the scrub and work into your legs and feet to fully exfoliate, sloughing away dead skin and smoothing out calluses, cracked heels and rough spots. 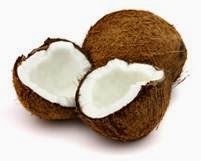 · The coconut oil will provide a great amount of moisture, leaving skin feeling smooth and supple. · Also, be sure to rub on toe nail beds and in between toes to prevent nail infections and fungus (as coconut oil contains anti-bacterial and anti-fungal properties). · Repeat 1-2 times per week for a moisturizing and revitalizing at-home spa treatment. How do you take care of your feet? That's a nice recipe for a scrub. It's easy to make too.